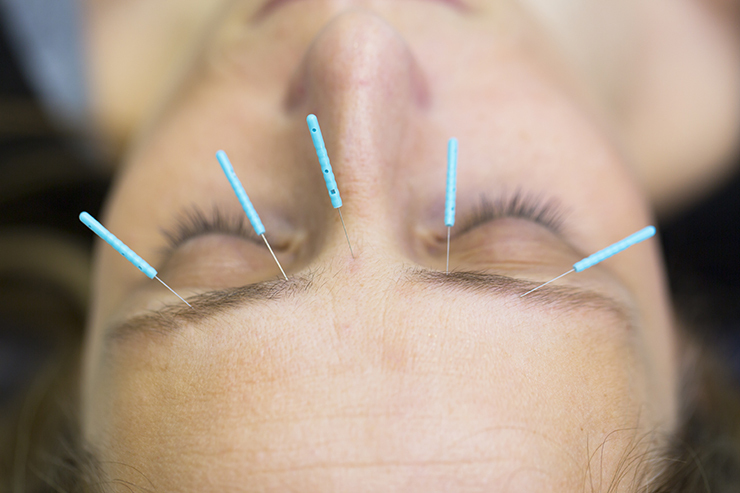 Facial acupuncture—aka cosmetic acupuncture—has been gaining fast favor among women seeking effective treatments to improve their skin. What began centuries ago in China to rejuvenate the skin has now become a go-to anti-aging treatment worldwide. Facial acupuncture, or cosmetic acupuncture as it is often called, has been gaining fast favor among celebrities and those seeking more holistic ways to get a glow. In the UK, The Times of London likens cosmetic acupuncture to “natural Botox,” and here in the U.S., Refinery29, InStyle and Vogue, among other publications, have published stellar reviews about the practice. The New York Times writer Marisa Meltzer recently reported firmer skin and more defined cheekbones after her first experience, and 88 percent of Real Self followers who tried the treatment said it was well worthwhile. 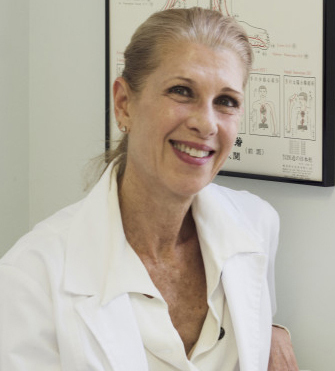 Goldstein explains that cosmetic acupuncture uses the principles of Traditional Chinese Medicine (TCM) to address signs of aging. According to TCM, wrinkles, skin discoloration or loss of muscle tone begin from a constitutional imbalance and fundamental weakness of Qi (pronounced ‘chee’), the energy that circulates throughout your body within a series of pathways to different organs. The body’s natural energy flow is what provides nourishment, support and vitality to every cell, tissue, muscle and organ. Dr. Sarah Emily Sajdak, DAOM, L.Ac., founder and originator of Beauty Acupuncture™, started practicing facial acupuncture when she was treating migraines and saw the benefit of acupuncture in relaxing facial muscles. “The more you relax the muscles, the more circulation flows throughout the face and the more the skin will be hydrated naturally. And your face looks younger,” explains Sajdak, who has a doctorate in acupuncture and oriental medicine. She’s observed an increased interest in facial acupuncture over western cosmetic treatments among her patients. 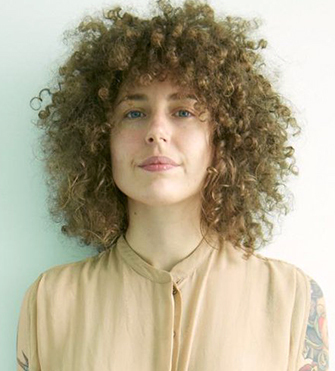 “They live a healthy lifestyle, eat natural foods and use natural products, so it makes sense for them to opt for more holistic skin care.” Sajdak sees facial acupuncture as a way to work with your own natural beauty and be the best version of yourself. After a session, patients leave feeling good about themselves, relaxed and healthy. She notes other advantages to the practice, such as the stimulation of collagen from the insertion of the needles and minimal side effects, which could include occasional bruising. In addition, studies show that stress hormones are more balanced after treatments. Sajdak starts her patients with three initial visits and then assesses the results. “People normally see a happy glow, yet everyone reacts differently.” One of her patients said that friends were asking her what new products she was using since her skin looked so good. Ten sessions are recommended for maximum benefits. Patients typically come once a week in the beginning and later every other week and sometimes once a month, depending upon their needs. Practitioners specializing in facial acupuncture often combine the sessions with other treatments for additional enhancements. These can include cupping, acupressure, facial massage, micro-stimulation, the gua sha, a Chinese jade tool for facial massage, masks and moisturizing creams. Prices for cosmetic acupuncture can range from $200 per session and up. With add-ons, prices are higher. Dermatologists and plastic surgeons might argue that their methods are more effective in the long run. Yet consumers can weigh the pros and cons of western and eastern cosmetic treatments, make educated decisions and see what works best for their individual needs. Some might settle on a combination of both methods. There are many acupuncturists in the city who specialize in cosmetic acupuncture. The Acupuncture Now Foundation has guidelines on selecting acupuncturists. Licensing and certification vary among states so make sure the practitioners you are considering are legally authorized to practice in New York. Just as you would research any professionals, find out their length of experience, training level and ask how they can best help you. All acupuncturists must use needles that are sterilized, disposable and not used before. Let personal recommendations and your instincts help guide you.